The b79 is our top of line model. 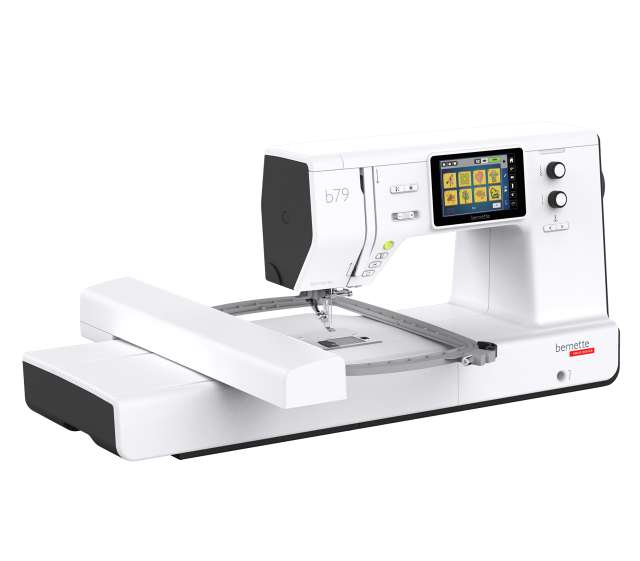 It offers everything a creator needs – this two-in-one machine combines all the sewing functions of the b77 with the embroidery perks of the b70 DECO. The b79 makes creating a unique and special handmade dress with delicate embroidered flower embellishments easy. Newbies, never fear, this machine is so simple to use, you’ll become the maker you’ve always wanted to be in no time. This attractively priced sewing and embroidery, computerized machine is perfect for everyone. It's incredibly easy to use, offers a wide range of functions and lets you be your most creative.